The past few weeks have been a whirlwind of activity. When we learned about Abbie Williams’ win of a Gold Medal in the Independent Publisher Book Awards, I made the quick decision to attend the gala in New York and also display our 2015 books at Book Expo America. This meant making sure I had samples of books to display, as well as postcards and other materials that people can take away with them. For the most part, it was easy, but one of the books wasn’t that close to getting a proof done – but I really wanted to show it off. Luckily, my wonderful colleague Meghan Tobin-O’Drowsky did a great job on proofreading and Dean Mayes did his part on making sure everything got back to me in time so that we could unveil The Recipient at BEA. But it’s my one and only copy – so while copies of the other books have been shipped directly to the booth organizers in New York, this one I’ll be keeping close to me so I can pop it on the shelf when I get there. I leave in less than a week and it’s looking like things are coming together: meetings are arranged, seminars have been added to my calendar, hotel and flights are booked, marketing materials are ready and I’ve laid out my plans for the booths I want to visit. And, since I’ve never been to NYC before, I’ve even figured out which sights I want to see. Now all I need is an outfit for the awards gala. Oh, and I might get my nails done too. Wow, what a joy-ride the past week has been. 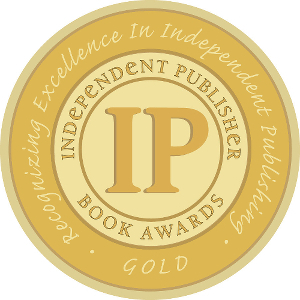 A few months ago, we submitted a few books to the Independent Publishers Book Awards – also known as the IPPYs. It is the largest book competition – not necessarily by fame or cache (it’s not a Man Booker) but but by sheer number of books that are submitted every year. I’ve submitted our books to this competition and to many others for years now and always come up short. Last Thursday was the day that they were announcing the winners. That morning, I had checked my inbox every 10 minutes and finally gave up – figuring I ought to buckle down and get some work done. I ended up forgetting about the announcement and since I didn’t see any pertinent emails come in, I shut my work day down that evening. I was retrieving messages later from my phone and picked up one from a colleague who was congratulating me on winning a gold medal! I rushed to my computer to find the missing email in a junk folder and sure enough, there it was: A Gold Medal had been awarded to Heart of a Dove by Abbie Williams. Of course, the first thing I did was call the author. I’m sure I sounded like a complete idiot, babbling my way through the conversation. But she understood me and we both remained in shock for the rest of the night. Abbie’s book had tied for first in the Romance category – a huge category to win – simply by the number of books that get released every year. Heart of a Dove is simply fantastic. When she sent the first draft to me, I couldn’t put it down. Winning has had some time to settle in now, and both Abbie and I continue to feel pretty good about it. The funny thing is that I told myself that “if” I won, I would go to New York to accept the award personally at a gala they hold, and also go to Book Expo America which is the biggest trade event for books and publishing in North America, and among the biggest in the world. I won, so now I’m going. And, I’m bringing some friends with me. I’m thrilled that Abbie will be joining me in New York to accept the award for her book and come to the trade show. But I’m also very excited since I bought some space at the Independent Book Publishers Association’s booth where I’ll display our releases for 2015. So while Dean Mayes, Iain Thomas, Jon Ellis, Molly Ringle and Talia Aikens-Nunez can’t join me in person, they’ll be there in the form of their books. What a wonderful time I’ve had this past week, booking travel plans and designing postcards for the show. In a huge show dominated by the Big 5, I know we’ll be a needle in a haystack. But we are there, and someone might just poke themselves and notice us. Oh, and showing off those gold seals will be a lot of fun too.